Home > Dining and Gourmet > Fast Food > [Popeyes Louisiana Kitchen Singapore] Time to hear from our fans! 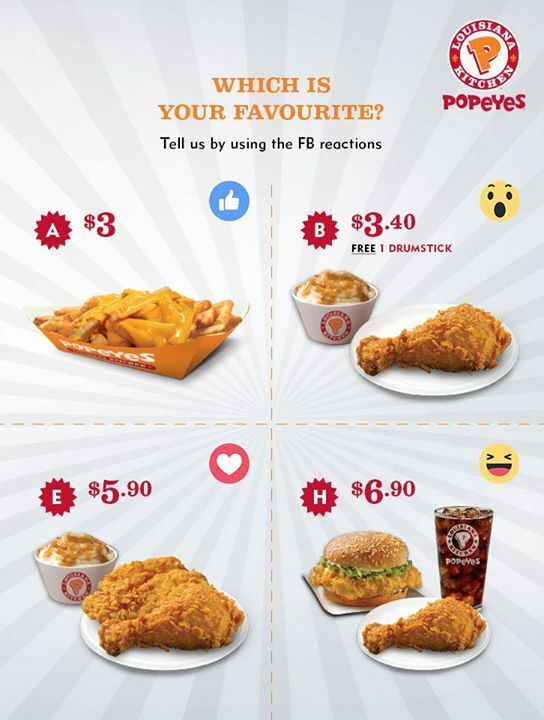 [Popeyes Louisiana Kitchen Singapore] Time to hear from our fans! Time to hear from our fans! Tell us which coupons do you love the most by reacting! Use these for your next purchase! Previous: [Sealy Singapore] TGIF dear fans!